Although you probably wouldn’t think of minerals when you hear the word “beautiful” mentioned, you’re about to change your mind here. That’s because there are some very beautiful minerals that you’ll want to feast your eyes upon. A mineral is simply a solid, inorganic represented by a chemical formula and that has an ordered atomic structure. With more than 4,900 minerals known to exist today, you may find it difficult to know what ones are the most picturesque, but this list will help. 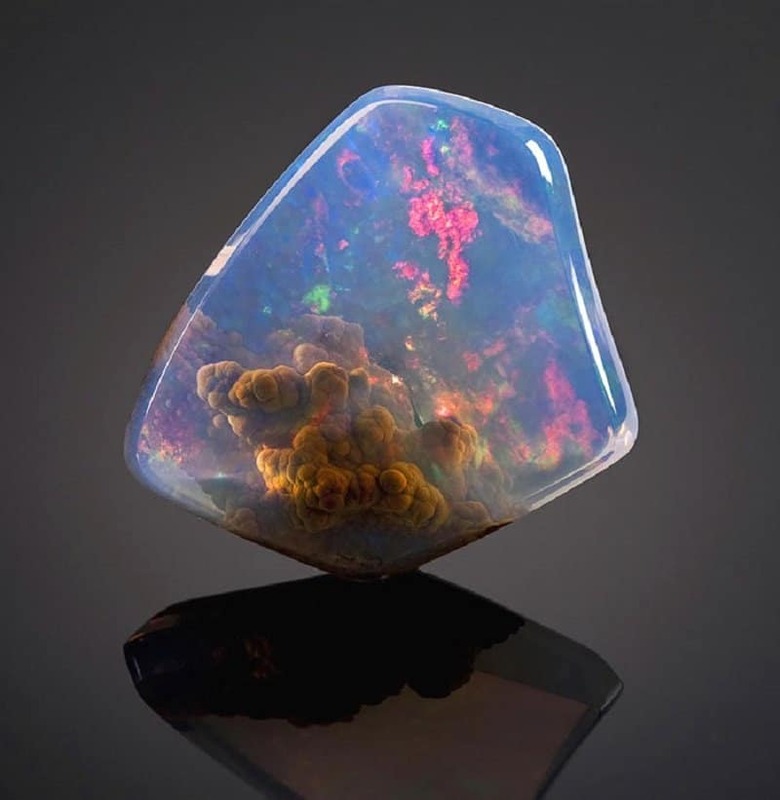 Opals have a play of colors visible within them. However, what makes this one exceptional is that it has what looks like a galaxy within it. 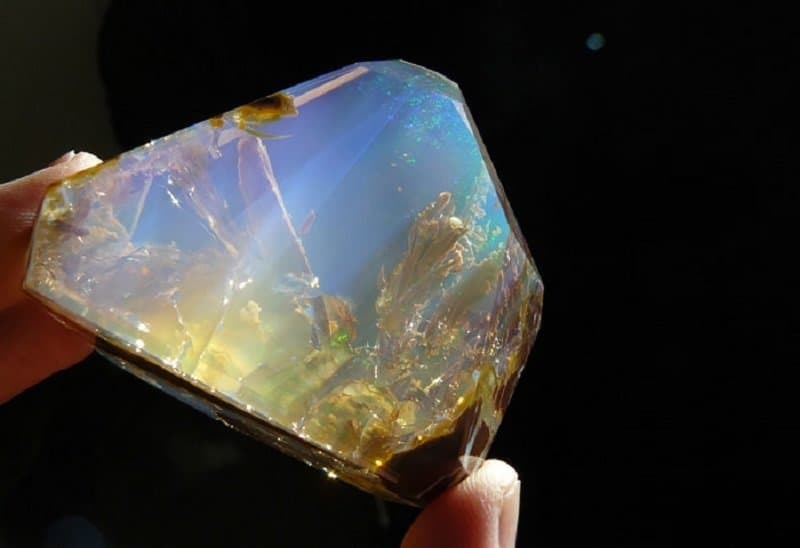 In the same way that the Luz Opal With Galaxy Inside is unique because you can see a galaxy therein, the Ocean Inside an Opal is special because you can see what looks like an ocean within it. 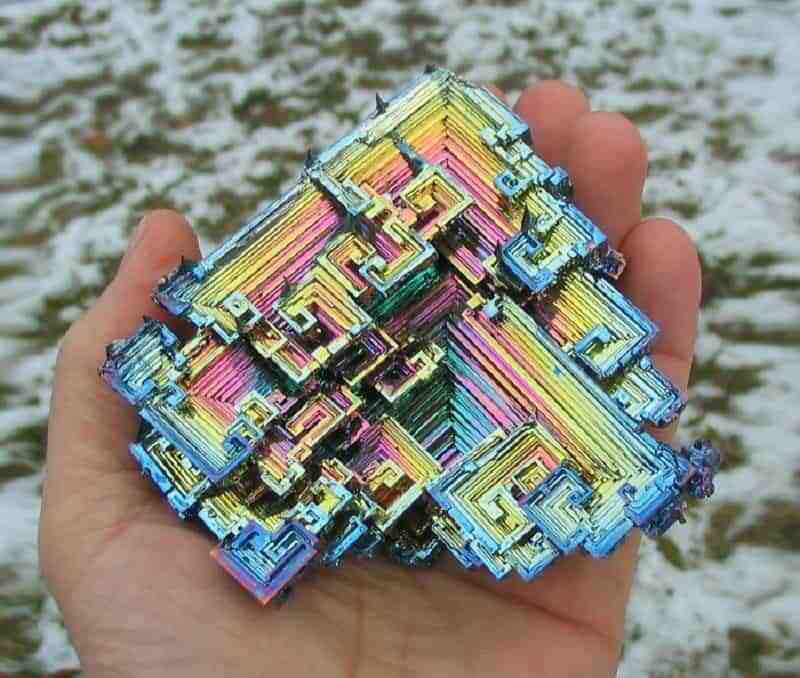 Bismuth is a brittle reddish-gray type of metal. You wouldn’t really think of it as such when you look at its beauty though. It also has medicinal properties whereby it treats upset stomachs, heartburn, and nausea. This is the world’s biggest amethyst geode. 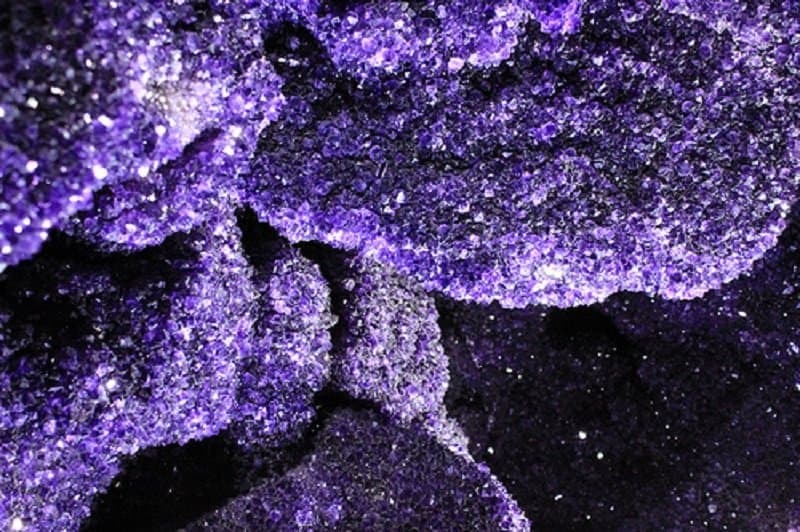 Amethyst itself is purple in color, and here it’s displayed within a geode, which is simply a small cavity within a rock. 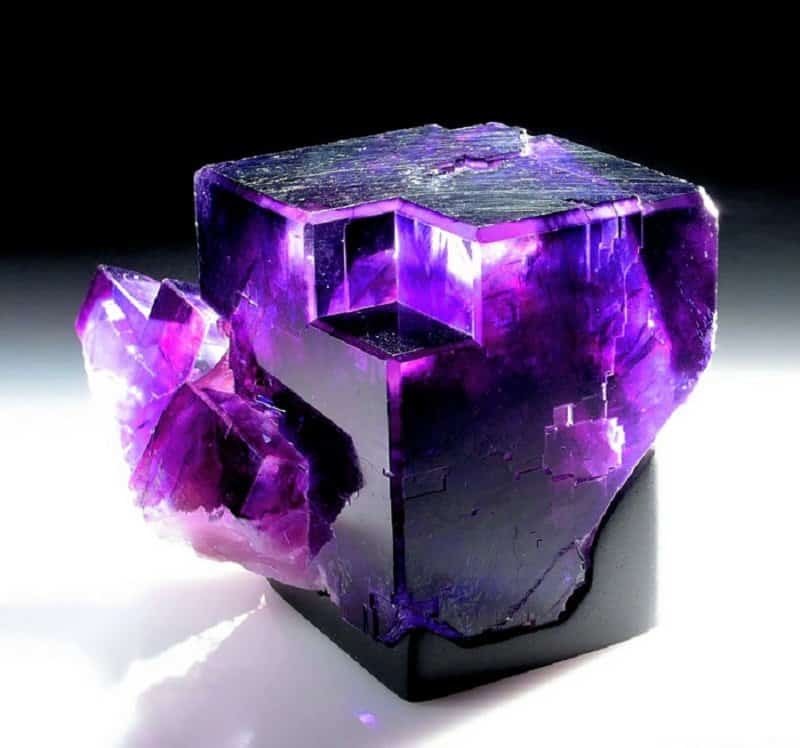 Fluorite typically occurs as cubic crystals. Although colorless when pure, it will take on a color such as this when there are impurities present. 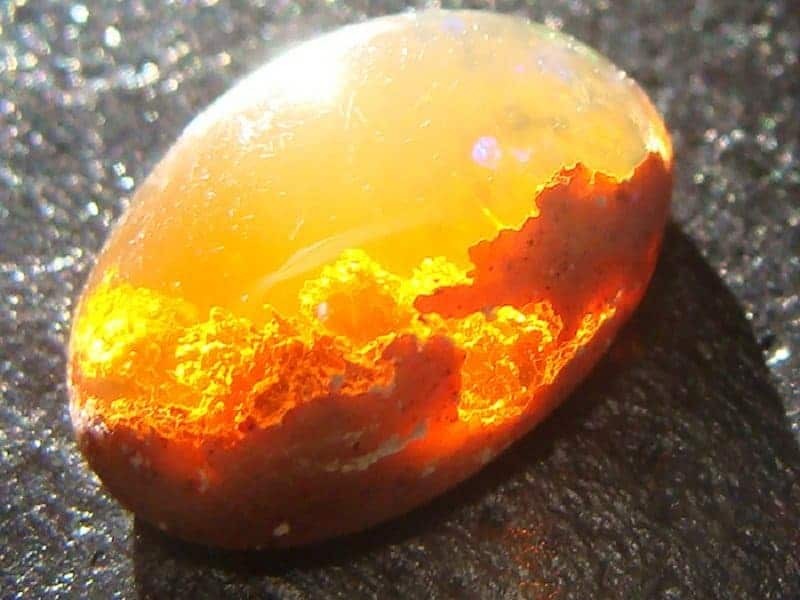 Hailing from Mexico, the Sunset Fire Opal is absolutely beautiful. This stunning opal undoubtedly reminds you of a pretty sunset. 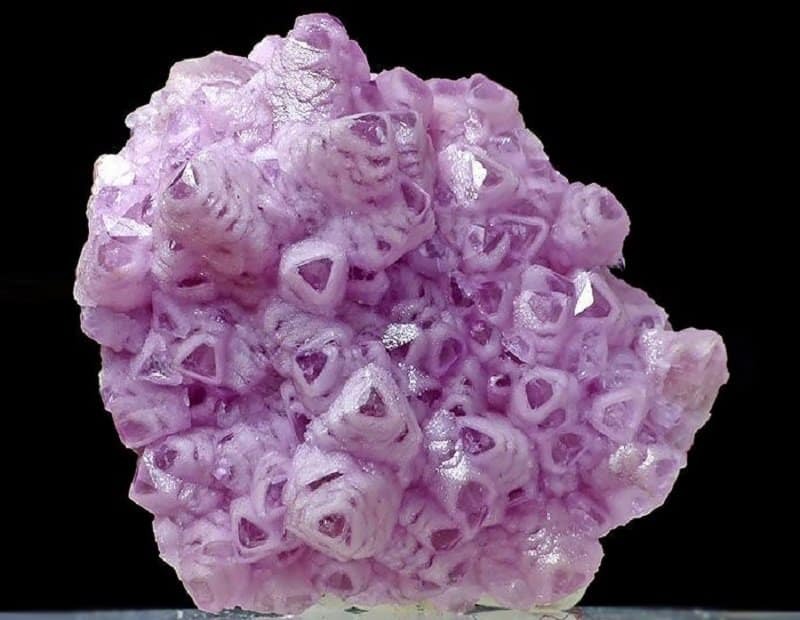 Cobaltocalcite is the crystaline form of Pink Calcite. It has metaphysical properties whereby it helps with releasing old fears and grief so that the essence of unconditional love is brought about. 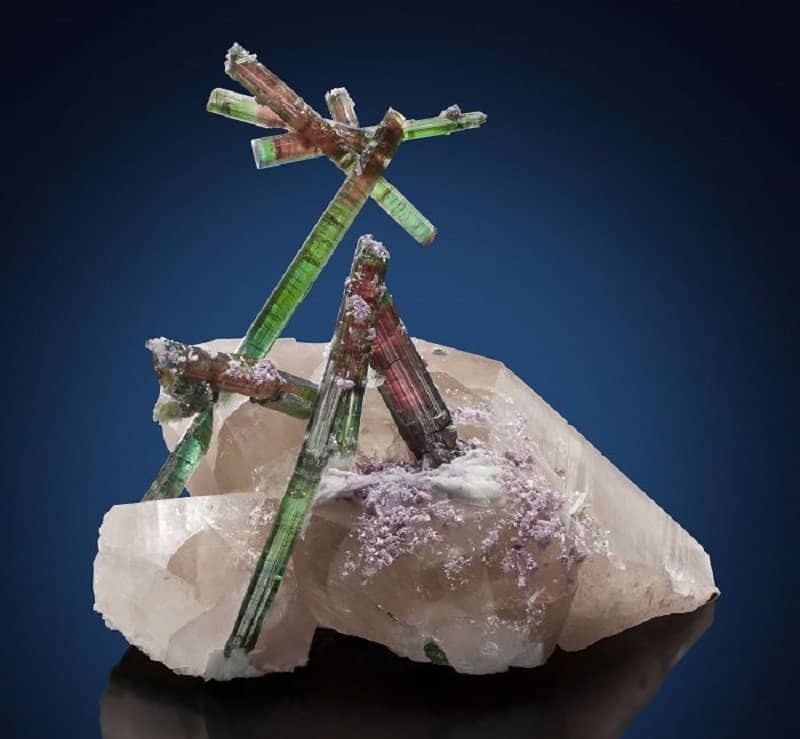 Imagine how hard Tourmaline on Quartz With Lepidolite and Cleavelandite was to extract from the Earth. That’s why, if you look really closely at it, you can see that it’s been repaired. Rhodochrosite consists of manganese carbonate. 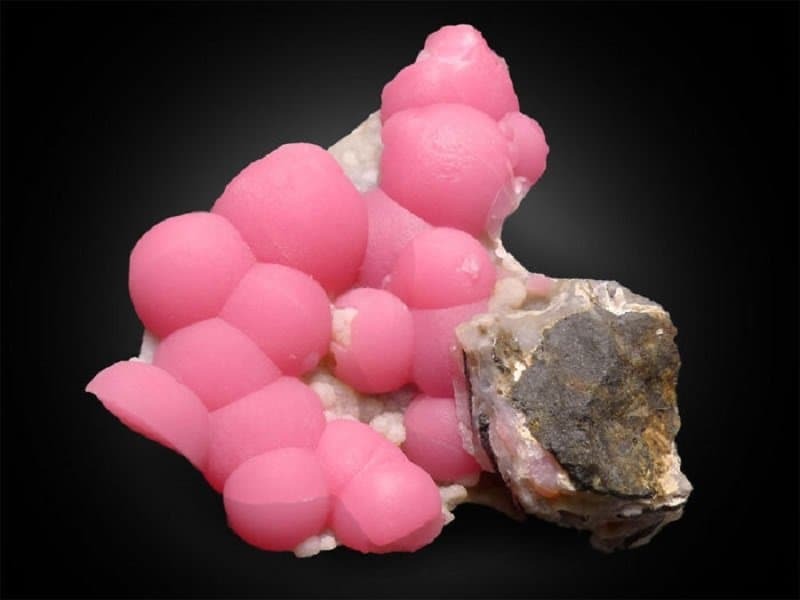 A pure specimen of Rhodochrosite occurs as a deep rose-red color, while impure specimens, such as the one shown above, can occur as a pink, brown and gray. Garnets are precious stones, and Uvarovite is a type of garnet. 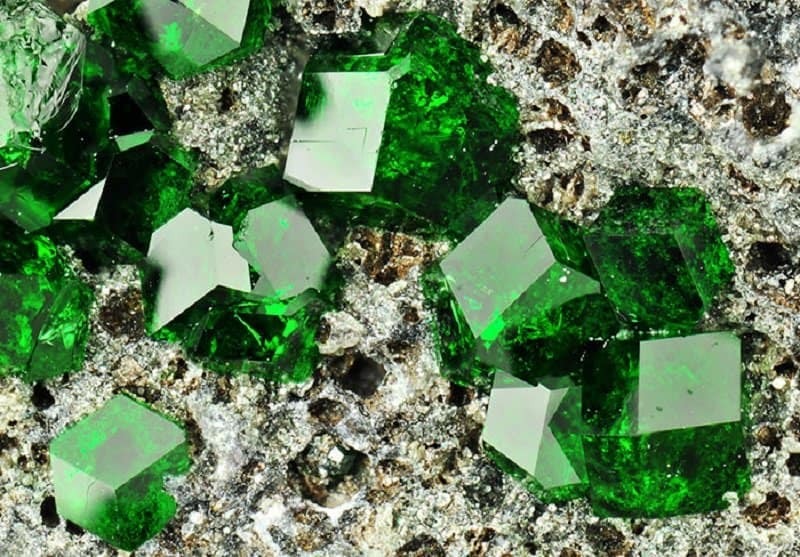 The difference is that Uvarovite also contains chromium, which is a hard metal that’s used in manufacturing stainless steel.